Calypsonian Laura Lisa Richardson is among female calypsonians throughout the region who will be participating in the 2017 regional female calypso competition that will be held on 29 December at Festival Village, Little Bay, Montserrat. Kirk Seetahal, Chief Executive Officer at the Spicemas Corporation (SMC), said that the female performer was selected by the corporation’s management and board because of her wide experience locally and regionally. “We believe she will do us proud in that competition,” he said. Known in the entertainment world as ‘Laura Lisa,’ she was one of two finalists in the 2017 carnival calypso final competition and the lone female in the 2016 competition. She has also performed on various regional stages. The two-round competition will see her performing ‘A Cry for Help’ and ‘This is Carnival.’ The winner of the competition will receive EC$10,000. The second prize is EC$6,000 and the third prize is EC$3,000. All participants will receive an EC$1,000 appearance fee. “Our main objective is to bring female calypsonians of the region together to compete in an atmosphere of camaraderie, and showcase the calypso art form of the region,” said Kenneth Silcott, Head of Planning and Production, Montserrat Arts Council, in the letter of invitation to the SMC. Invitations were sent to the carnival committees and Ministries of Culture in Antigua, Anguilla, St Kitts & Nevis, United States Virgin Islands, St Maarten, St Lucia, Barbados, St Vincent and the Grenadines, Grenada, Dominica, British Virgin Islands and Trinidad & Tobago. 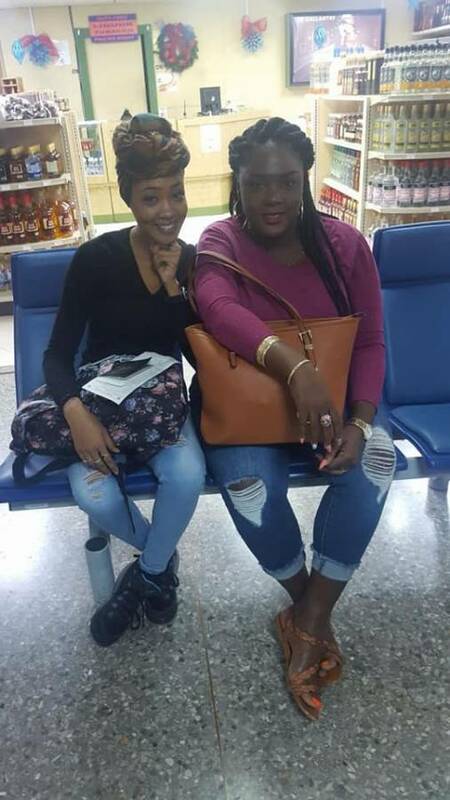 Laura Lisa left the island on Wednesday morning accompanied by her background vocals and chaperone Kisha Lawrence.